To claim this profile, please confirm you are Shaleina Bird. To follow this profile, please let us know your relationship to Shaleina Bird. Shaleina was tagged in the video "Shaleina Bird Junior year." Shaleina was tagged in the video "Shaleina Bird's highlights Denver East High." Shaleina was tagged in the video "Shaleina Bird's highlights Silverado High School ." Shaleina was tagged in the video "Shaleina Bird's highlights Southeast Career Tech." Shaleina's basketball stats have been updated for the loss vs. Bishop Gorman. Shaleina's basketball stats have been updated for the win vs. Silverado. Shaleina's basketball stats have been updated for the win @ Coronado. Shaleina's basketball stats have been updated for the win @ Foothill. Shaleina's basketball stats have been updated for the win vs. Green Valley. Shaleina was tagged in the video "Shaleina Bird's highlights Basic." Shaleina's basketball stats have been updated for the win vs. Basic. 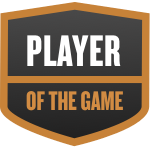 Shaleina was selected the Player of the Game in the basketball game against Southeast Career Tech on Tue, Jan 29 2019. Congratulations to #10 Shaleina Bird for being selected the Liberty Girls Basketball Player of the Game. Shaleina's basketball stats have been updated for the win @ Southeast Career Tech.